Art By Mi Ran Progressive Challenge ~ My First Christmas Card This Season! 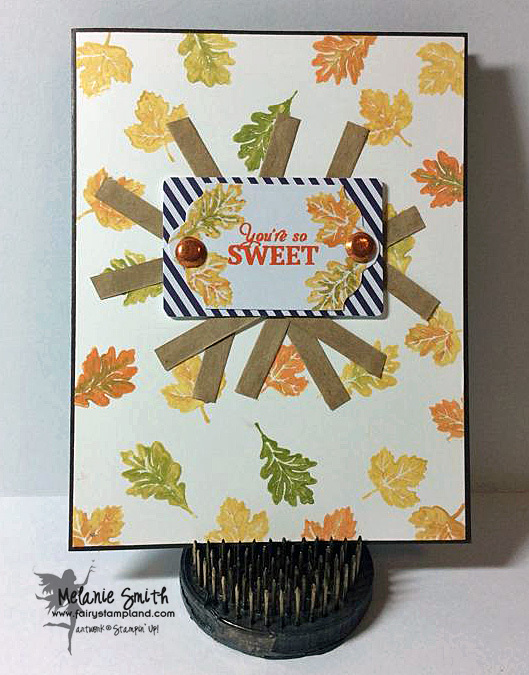 Today I have a fun little card that I created during a get together with a local friend of mine. She came over and we played in my craft room till the wee hours of the night. It is awesome to have met someone who is a night owl as much as I am. 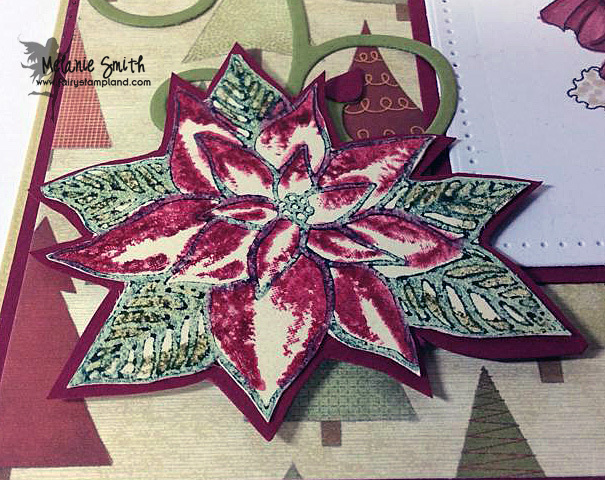 My card today is my very first holiday card of the season. I have used this months Progressive Challenge Digital Image which you can get at a reduced rate or even FREE if you participated in last months challenge. 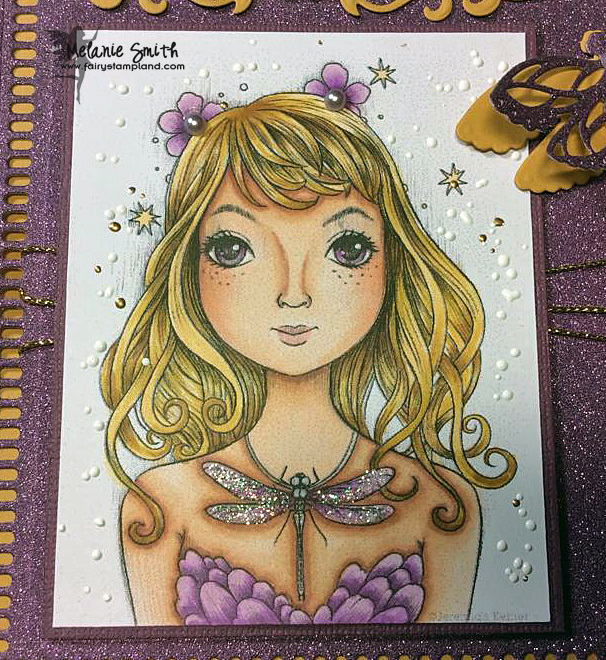 Click HERE to go see all the details of the challenge over on The Art By Mi Ran Facebook Group. I colored this adorable image using my Copic markers. 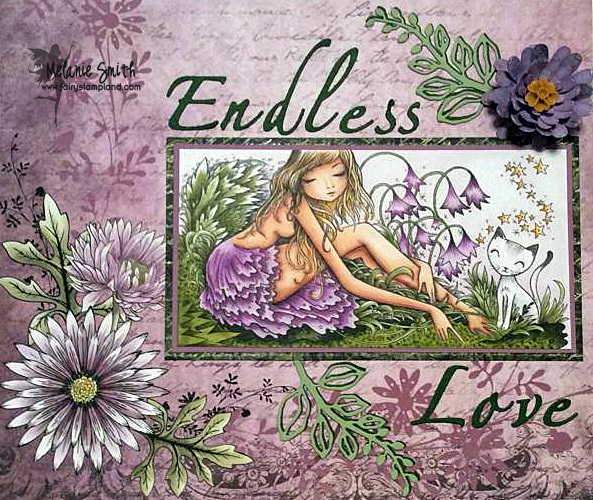 The dies used are by Marianne Dies and the flower and sentiment was stamped using the Stampin' Up! 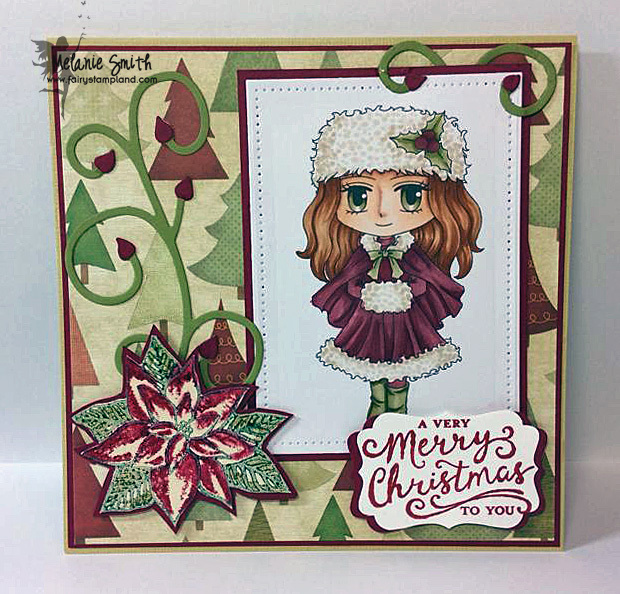 set called "Reason for the Season" This stamp set is a 3 Part Stamp set which creates such depth when stamping, especially with multiple colors. See the close up photo below. I stamped the images onto a gold shimmer paper and heat set the ink. I love the reaction I had with the inks and the vintage feel to it. Make sure to pop on over the The Art By Mi Ran Facebook group so that you can play along with us this month. 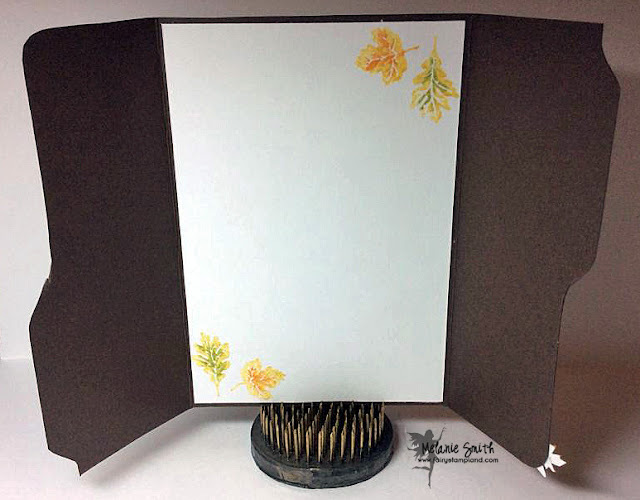 I am coming to you tonight with an entry of mine that I have just posted in the Crafts and Me Facebook Group to be considered for one of their Design Team openings. I have chosen to use a digital image called "Dragonfly". It is by artist Jerimiah Ketner. 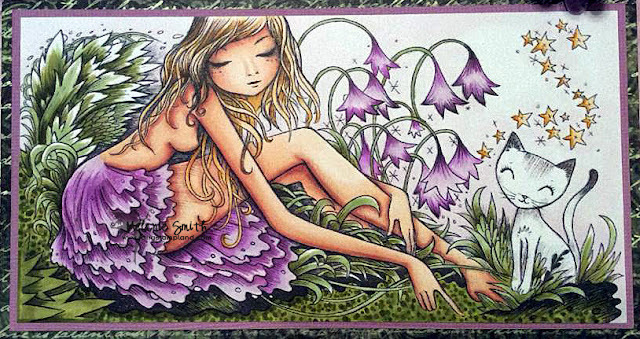 I love that Crafts & Me has a large variety of artists and a lot of their stamps have a fantasy theme which fits perfectly with my love of fairies. Thank you for stopping by to visit with me today. 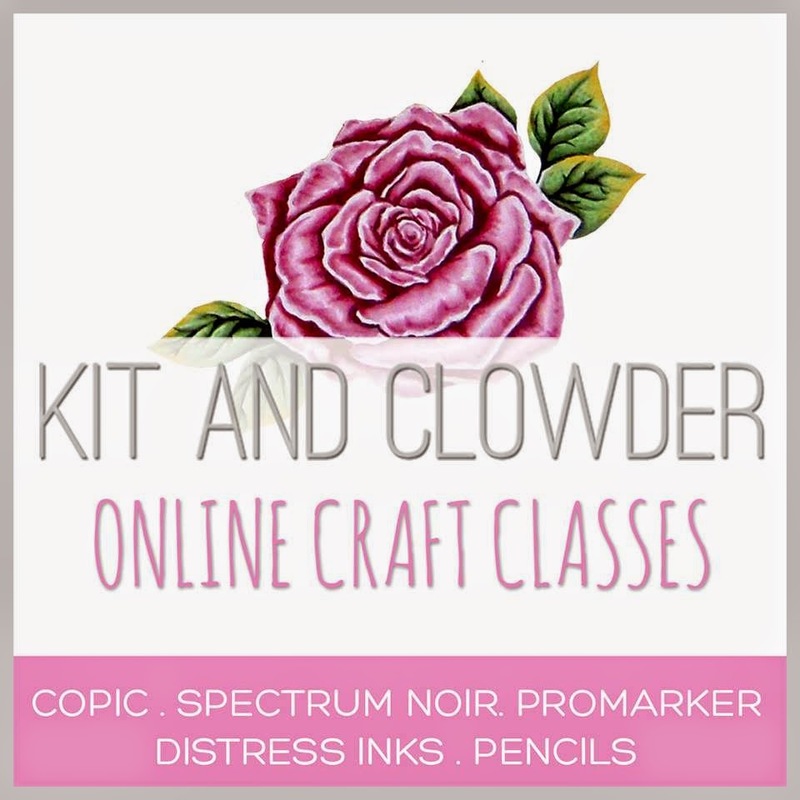 Please check out Crafts & Me's entire website for a wide variety of stamps (both digital and rubber) as well as a large selection of craft supplies. 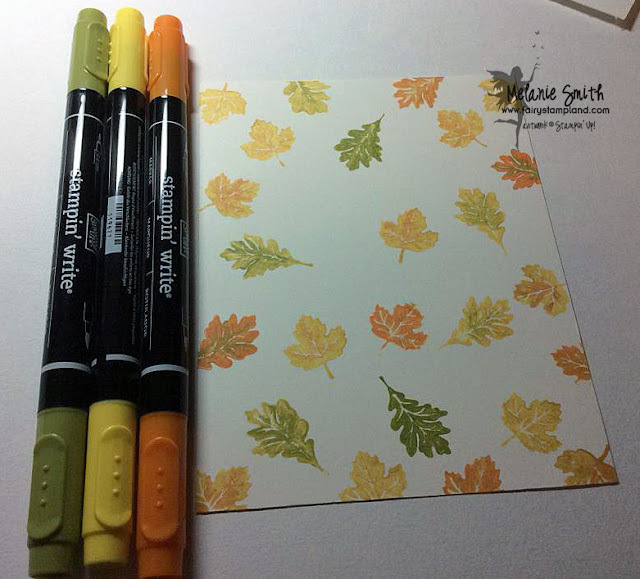 Today I am coming to you today with some Paper Pumpkin Fun. 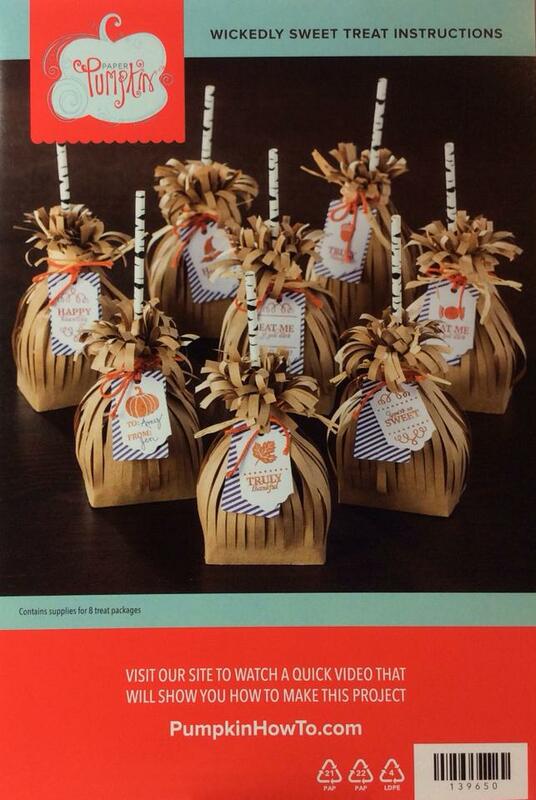 September's Paper Pumpkin Subscription kit makes these adorable little Halloween treat bags. 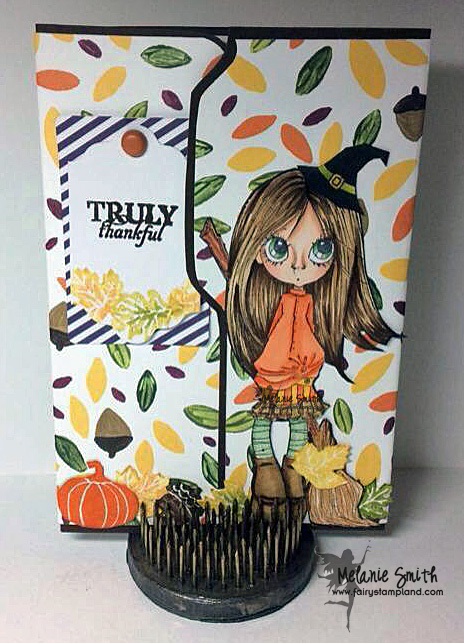 For a lot of us we have older children or we love our Paper Pumpkin kits because of the exclusive photopolymer stamp sets enclosed. This month's stamp set is ADORABLE!!! I for one am more of a card maker than a treat maker so I decided to play with my kit and have some "Alternative Fun"
I decided to create a basic card because a friend of mine, Karen, who is one of my very first subscribers came to me privately as she was hoping to receive some basic instructions on how to make cards. 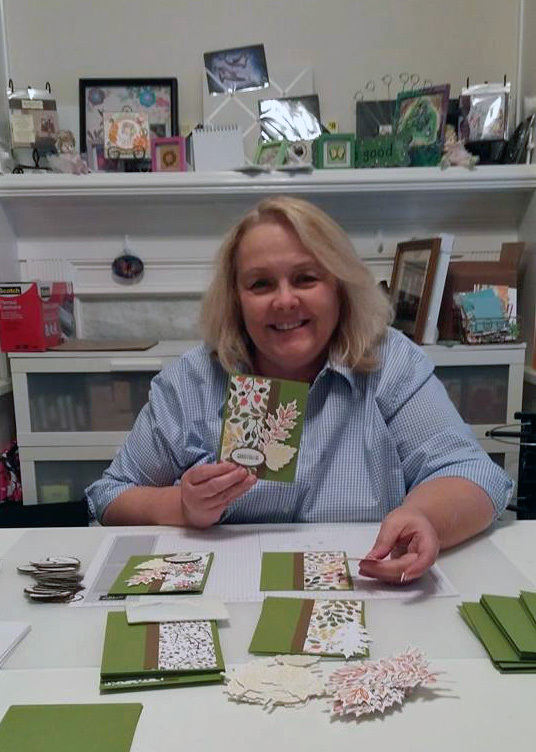 This was her first month with me as a subscriber so I made these basic cards showing her how any PP kit can become a card kit even when the project created by SU! is a 3-D item. I have used the stamp set, both tags, and some of the paper fringe that was included in the Paper Pumpkin Kit. 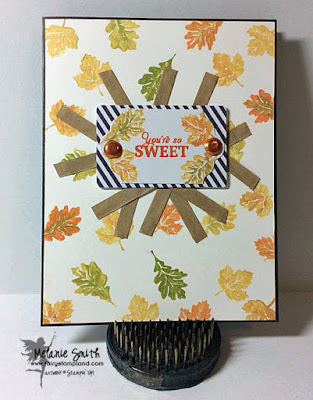 I added some card stock, brads, and Stampin' Write Markers to complete the card. 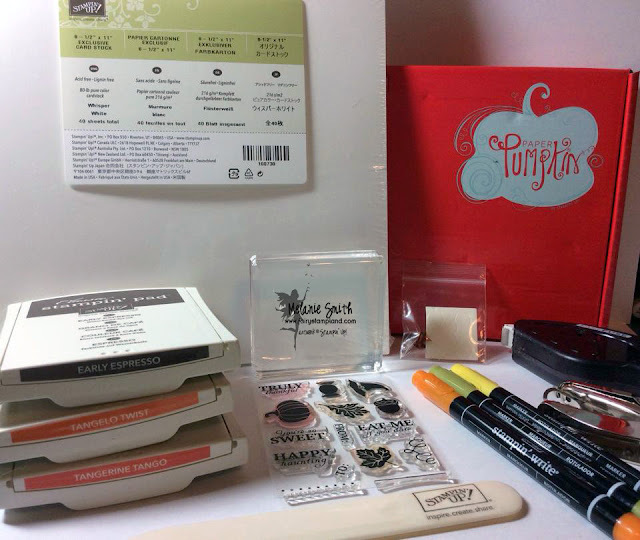 All extra supplies are pictured below and also linked at the bottom of this post for your shopping convenience. 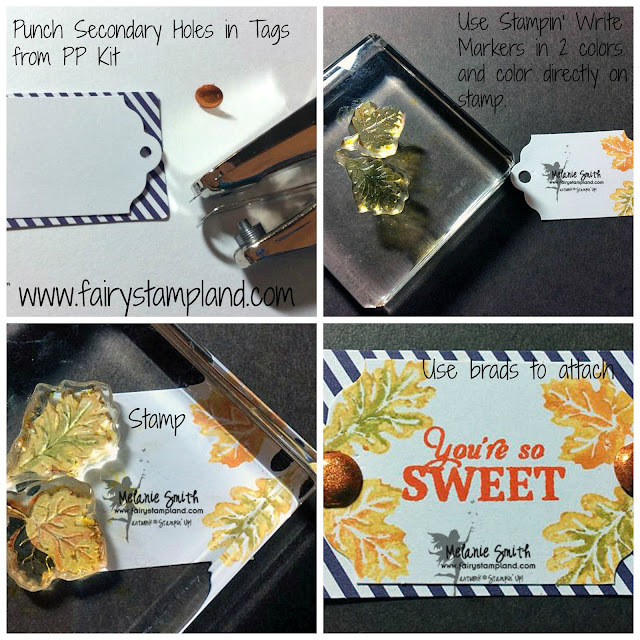 Other supplies I used were my Fast Fuse Adhesive, hole punch, and bone folder. 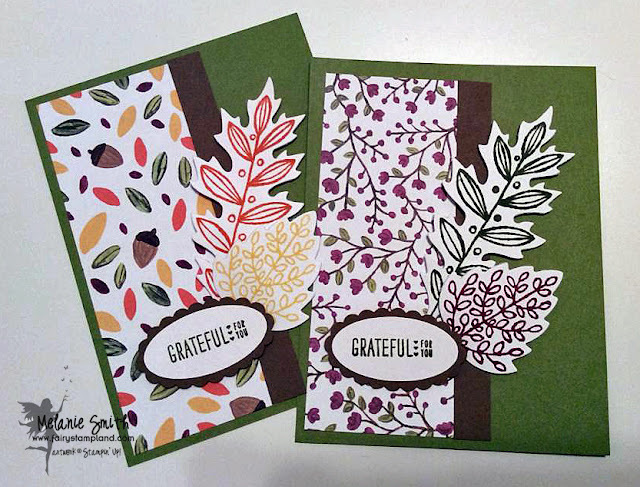 For the background I simply used a piece of Whisper White card stock and 3 Stampin' Write markers. I colored directly on each stamp one at a time then stamped directly on the paper. 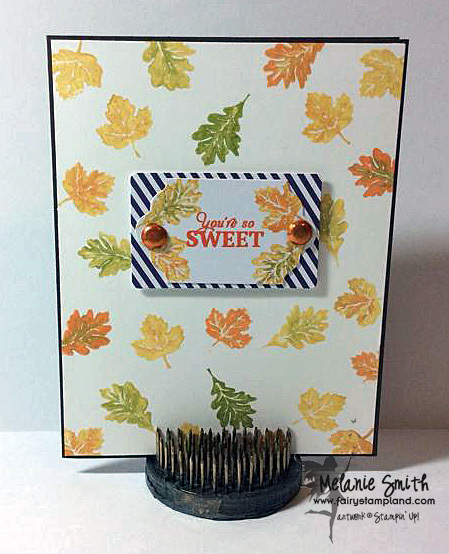 This gives a two tone effect perfect for fall leaves. The tags came in the kit with just one hole so I added a second with my hole punch, inked up the leaves to create a border, and stamped my sentiment in the middle. 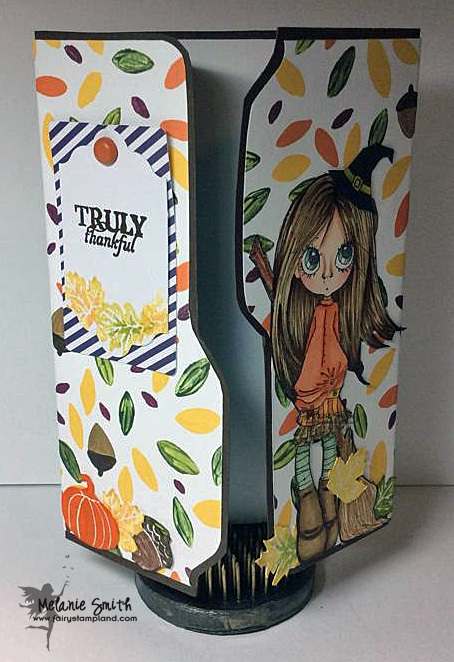 All stamps are part of September's Exclusive Paper Pumpkin Kit. If you would like to join My Paper Pumpkin Family simply click HERE - Once you join send me an email at fairystampland@comcast.net and I will welcome you to our exclusive Facebook group where we can all share in our Paper Pumpkin together.